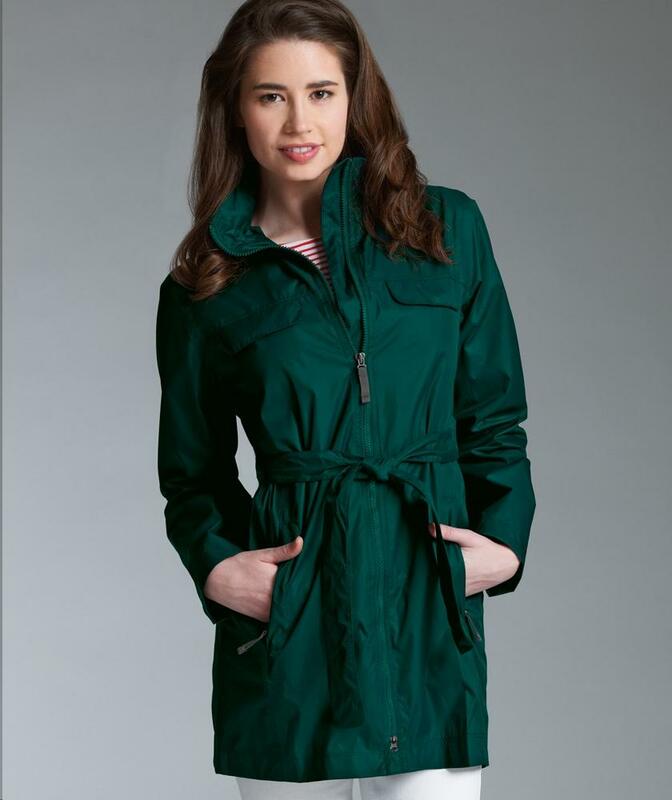 The Charles River Apparel Style 5375 Women’s Nor’easter Rain Jacket is available in Women’s Sizes XS-Med. It can be purchased in your choice of the following colors: 010 Black and 196 Emerald. SKU: CR-5375 Categories: Women's Clothing, Rainwear Tags: rain jacket, Rainwear, Women's Jacket, Women's Outerwear, women's rain jacket, women's rainwear, Women's Waterproof Jacket Brands: Charles River Apparel. Breathable, wind & waterproof HydraLyte Nylon, unlined. Hydrolyte Nylon has a subtle dobby texture and a waterproof, breathable membrane (2000mm) that allows excess heat to escape for superior breathability. Taped seams throughout to seal out wind and rain. Tuck-away hood rolls into collar. 2-way front zipper and zippered side pockets. Princess seams for a flattering appearance. The Charles River Apparel Women’s Nor’easter Rain Jacket can be purchased in your choice of the following colors: 010 Black and 196 Emerald. If you would like to monogram the Charles River Apparel Women’s Nor’easter Rain Jacket the following imprinting methods are recommended: Embroidery, Screen Print, Applique, and Heat Transfer.